A bit of magic in the nursery. A nursery is the room in a house designed for the care of a baby or toddler. A typical nursery would contain a crib, a changing table, as well a various items required for the care of the child. 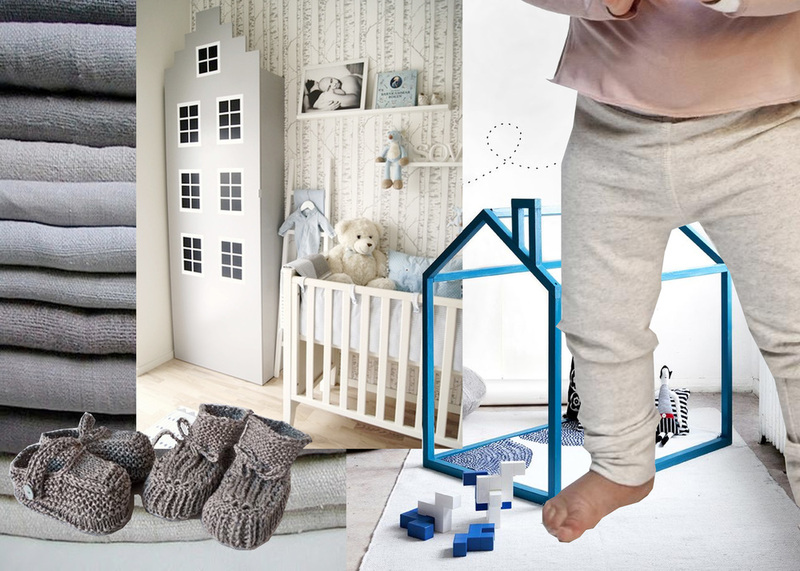 The room is mostly decorated with a lot of care: the arrival of a baby is always prepared with a lot of attention for the details. The room needs to be just as fabulous as it has to be functional, and think on long term. 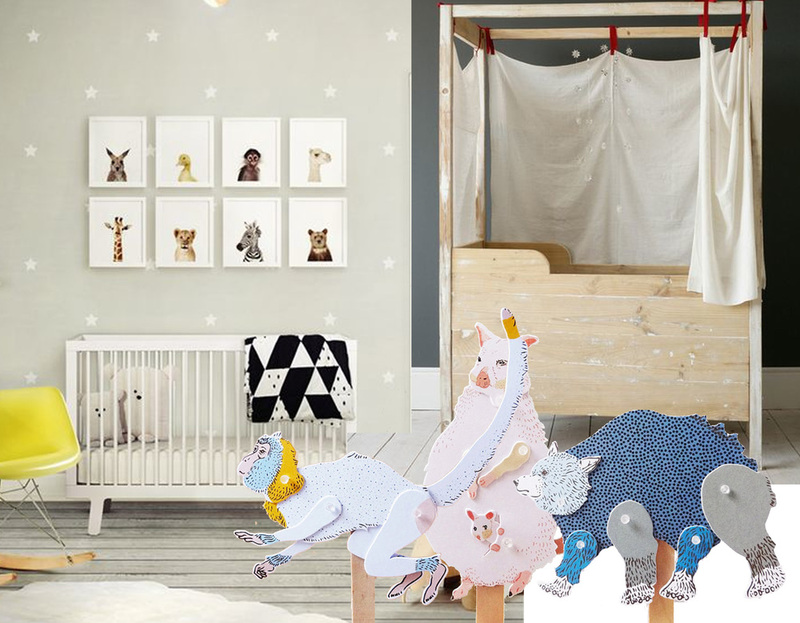 Decorating a nursery doesn't need to be costly, difficult or picture perfect. 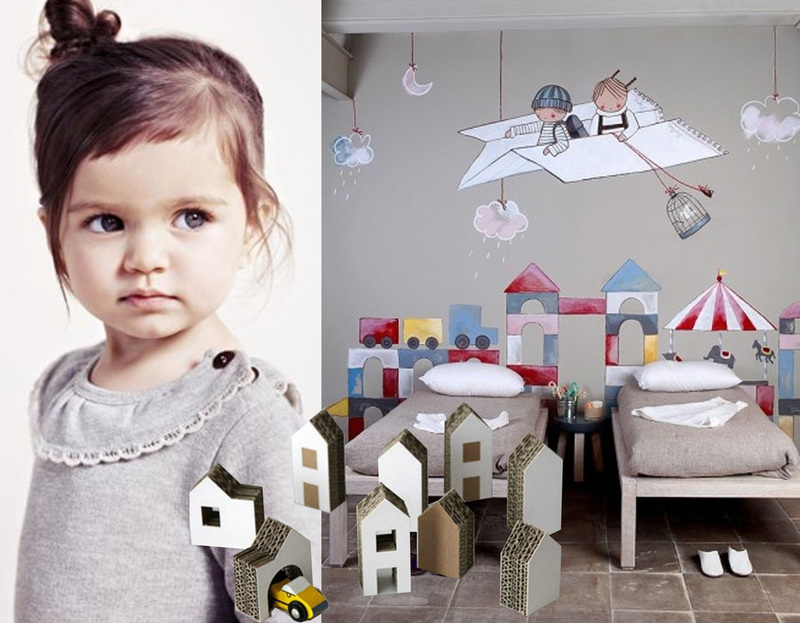 You have to decide if you go with a neutral colour scheme or you are want to make it a real boys or girls room? These days there are a lot of wonderful wallpapers specially for kids, collections going from baby till junior. Simple with soft colours, expressive designs, murals, magnetic wallpapers. Don't overdecorate the room, don't fill the room with to much toys, let space for the baby or toddler to discover and express what they like and give it in time their signature. Everything your little child sees, hears or touches will stimulate their senses and develop new skills. Toys, as with all baby items, keep them simple and consider safety first. Keep in mind the advice to make the room a safe and inspiring place for your child to grow. Give them the space to express themselves, let them give shape and colour to their dreams. The kingdom of animals is fascinating for every child. Farm animals, wild animals, domestic animals, we will find them back in their early literature, learning activities, they will enjoy learning the animal sounds. Let the decoration or the wallpaper be an inspiration. You can tell stories starting from the decoration on the wall, over and over again as they love to hear the same stories. Or let it help them to discover in a playful way the alphabet, the animals. A magnetic wallpaper makes it easy to make small changes. Be creative with things you have already in the house, such as cardboard boxes. Handmade, soft fabrics, colourful, as they would come out of their dreamworld: animals will be their first best friends, they will comfort them and they will never have enough of them. One of the fun things is to think of a theme for the room: animals, angels, flowers, cars......their room is their world, make it a beautiful world. You can start by using a wallpaper in the theme of your choice, paint a mural or stencil a pattern above the crib or around the room. Bring out the theme even further with stuffed animals, the fabrics for pillows, curtains or bed linen. A baby is not afraid of the dark the first year of his life. But the mood lighting will be an essential to keep you from stubbing your toes when you stumble in at 2 a.m. for feeding. The mellow glow will help your baby learn to distinguish between day and night. Stars, clouds, animals..... that they may have sweet dreams. wish you a week filled with magic.